Jason Wingreen, the actor who provided the voice of Boba Fett in Star Wars: The Empire Strikes Back, has died at the age of 95. Jason Wingreen’s son, Ned Wingreen, confirmed to The Hollywood Reporter that his father had died on Christmas Day at his home in Los Angeles. Jason Wingreen was born in Brooklyn on October 9, 1920. As well as voicing one of the most popular characters from the Star Wars universe, Wingreen was also a prolific character actor, appearing in the likes of The Twilight Zone, Seinfeld, All In The Family, and Archie Bunker’s Place. All in all, he amassed close to 200 credits, according to his IMDB page, over the course of his nearly 40-year career. Wingreen began his acting back in 1955 and only retired in the mid-1990s, with his last performance coming in the television series In The Heat Of The Night back in 1994. But the most defining moment of his career came when he was cast to voice the character Boba Fett in The Empire Strikes Back. Wingreen’s voice as Boba Fett was used in the original and 1997 theatrically released version of the film. Wingreen originally auditioned to voice Yoda, but was beaten out for the role by Frank Oz. Instead, he was given the part of Mandalorian bounty hunter, and despite only having four lines, his work has gone down in cinematic history. Wingreen admitted that he couldn’t have worked for longer than 10 minutes recording the voice. It wasn’t actually revealed that Wingreen had voiced Boba Fett until 2000, and he said that he never received any residuals for his performance. That's despite the fact that his voice was used on various Boba Fett action figures. However, as is George Lucas’ wont, the voice was tinkered with in subsequent releases. That means that Jason Wingreen’s voice was replaced with Temuera Morrison, who portrayed Jango Fett, the father of the clone bounty hunter and clone troopers that appeared in Star Wars: Episode II Attack Of The Clones. Morrison voiced Boba Fett in the DVD version of Star Wars Episode V: The Empire Strikes Back that was released back in 2004. As well as appearing in Star Wars, Jason Wingreen also dabbled in the world of Star Trek. Wingreen played Dr. Linke in the Star Trek episode "The Empath," which aired in 1968, and his memorable death scene is often cited as one of the best in the original series’ run. Alongside these intergalactic acting jaunts, Jason Wingreen also appeared in The Untouchables and Matlock, while he portrayed 18 different characters over 6 episodes of The Fugitive, 6 episodes of The FBI, and 6 episodes of Ironside. His cinematic pursuits also saw him portray a doctor from the Mayo Clinic in 1980’s riotous comedy, Airplane. His character was seen speaking on the phone as a beating heart danced across his desk. 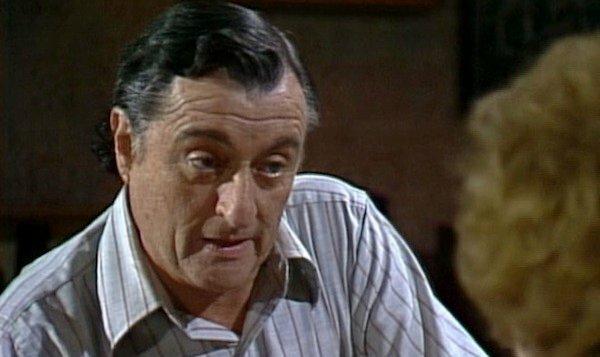 Jason Wingreen’s most prolonged stint on television came through his portrayal of Harry Snowden, a bartender who listened to the problems of the characters in All In The Family and Archie Bunker’s Place. Wingreen played Harry in over 117 episodes between 1976 and 1983.